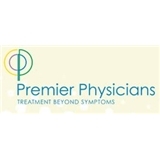 Premier Physicians (Bolingbrook) - Book Appointment Online! Taking care of our patients is why we are in business. We are passionate about ensuring the best care and we strive to provide outstanding and compassionate service, every step along the way. Making our patients a top priority requires care that addresses every aspect of interaction a patient’s encounters at Premier Physicians including the patient’s physical comfort, as well as his or her educational, emotional and spiritual needs. At Premier Physicians, our approach is simple- to treat each and every patient beyond their observable symptoms. This involves a dynamic process of becoming aware of, taking responsibility for, and making choices that directly contribute to a happier, healthier lifestyle. From annual checkups to complex health problems, our dedicated team, led by Dr. Srinivas Kota, is ready to treat you and coordinate your care every step of the way. Whether you have an appointment or not, we are here to take care of you, even in emergency situations. All staff and doctors are always friendly and professional. They are courteous and honest. Been going to Dr. Kota for many years after not really having a dedicated physician.